"Gloriously wonderful rock with a cinematic edge, The Moth Lantern are a beguiling proposition." - Steve Lamacq, BBC Radio 6 The Moth Lantern are a four piece indie rock band from the UK whose funky ballads, catchy choruses and colourful jams encompass the spirit of timeless bands such as Fleetwood Mac and Beck. The Moth Lantern offer a concoction of powerful, gritty lead male vocals harmonised with soft, folkish female backing amongst crunching riffs, tight rhythm sections and psychedelic keys to create an edgy and enticing sound. Having been selected to play the Emerging Icons stage at The London 2012 Olympics and having featured on BBC Introducing East Midlands several times, The Moth Lantern’s mix of gentle acoustic ballads and harmonious rock songs present impossibly catchy choruses and immaculately layered production which makes their music impossible to forget. Their debut album 'Light Waves' has just been released and is getting some amazing feedback: 'Gloriously wonderful acoustic rock with a cinematic edge, The Moth Lantern are a beguiling proposition' - Steve Lamacq, BBC 6Music 'Quirky, moody yet tuneful and with chord changes to prick the ear at every turn, fantastic' - Stuart Maconie, BBC Radio 2 'So sweet on this it ain't even funny, a tonic' - Pete Donaldson, Absolute Radio Fresh on the net pick of the week - Tom Robinson, BBC 6Music 'The Moth Lantern; one of the most interesting and innovative bands of the moment. You won’t believe it until you hear it. but this band – hailing from Lincoln – has the potential to rule the music scene in the near future.' - Ella Scott, Unsigned act of the week Gigslutz Stutter, stutter, spark. This is a grooving, ultra-British cut of alt-rock. There's something unassumingly potent about "Light Waves" By-Volume 'Light Waves' is a HUGE album; with funky, spiky riffs, impossibly catchy choruses and immaculately layered production, this album will get in your head immediately... and stay there. Drew Gibson Alternative Music Blog Light Waves 9.6/10 - "With their music taking in the likes of Radiohead, Fleetwood Mac, Pearl Jam and The Beach Boys - these music warriors are destined for regal climbs. 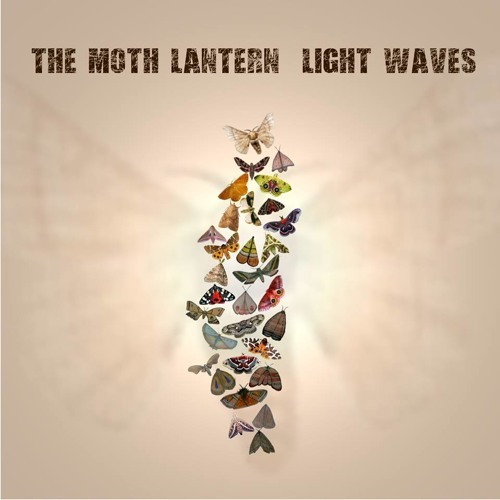 Light waves is the sound of The Moth Lantern at their very best: filled with sweeping epics, delicious ballads and colourful jams, it is an album (and band) you need in your life." Musicmusingsandsuch. You can listen to the whole album right here and also on Spotify, iTunes, Amazon. Visit www.themothlantern.com for more details.